University of Notre Dame Press, 9780268026219, 240pp. Gregory the Great (bishop of Rome from 590 to 604) is one of the most significant figures in the history of Christianity. His theological works framed medieval Christian attitudes toward mysticism, exegesis, and the role of the saints in the life of the church. The scale of Gregory's administrative activity in both the ecclesial and civic affairs of Rome also helped to make possible the formation of the medieval papacy. Gregory disciplined malcontent clerics, negotiated with barbarian rulers, and oversaw the administration of massive estates that employed thousands of workers. Scholars have often been perplexed by the two sides of Gregory--the monkish theologian and the calculating administrator. George E. Demacopoulos's study is the first to advance the argument that there is a clear connection between the pontiff's thought and his actions. By exploring unique aspects of Gregory's ascetic theology, wherein the summit of Christian perfection is viewed in terms of service to others, Demacopoulos argues that the very aspects of Gregory's theology that made him distinctive were precisely the factors that structured his responses to the practical crises of his day. With a comprehensive understanding of Christian history that resists the customary bifurcation between Christian East and Christian West, Demacopoulos situates Gregory within the broader movements of Christianity and the Roman world that characterize the shift from late antiquity to the early Middle Ages. 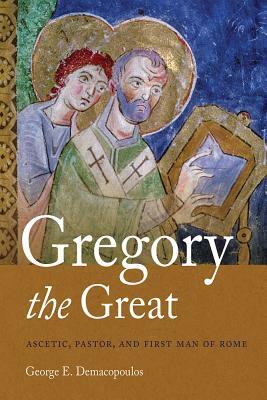 This fresh reading of Gregory's extensive theological and practical works underscores the novelty and nuance of Gregory as thinker and bishop. George E. Demacopoulos is the Fr. John Meyendorff and Patterson Family Chair of Orthodox Christian Studies at Fordham University. He is the author and editor of a number of books, including Five Models of Spiritual Direction in the Early Church, also published by the University of Notre Dame Press.